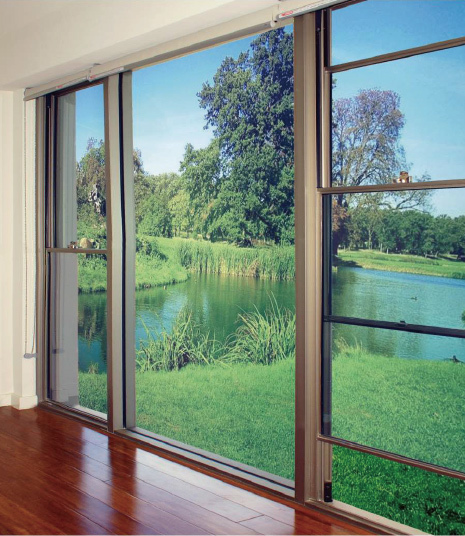 Framing a view beautifully without distraction using City view Sliding Windows. The unobtrusive design presents clean and sleek, minimalist result with a sense of openness and freedom. Max panel weight: 100 Kg. For traditional character or a modern contemporary look, the “City view” double hung window makes it popular style choice in windows today. Providing the ultimate in ventilation control, allowing you to circulate air and control humid conditions in an instant. 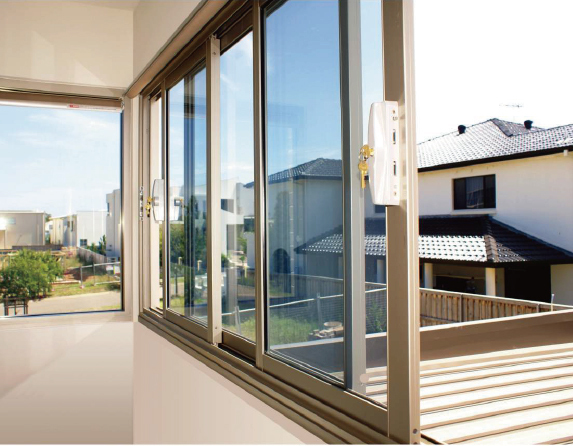 Featuring a concealed balance operating system, the aluminium double hung window will provide you with years of trouble free operation. Also, built – in as a design feature is our unique finger grip groove for easy operation of both top and bottom sash. A key lockable cam lock provides security as a standard feature. Max. weight per stash 18Kg. 100 mm restricted opening for security and above first floor applications. 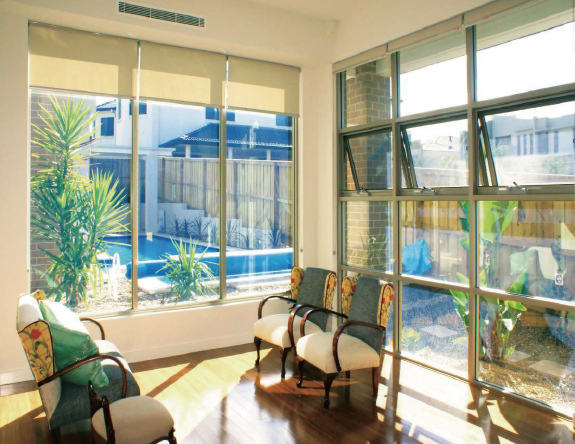 Hinged from the top and opening outward,”City View” awning windows are designed to provide continuous ventilation whilst partly opened during inclement weather. They can be positioned in a variety of places being able to stack vertically, combine horizontally or coupled with fixed panels or other windows and doors. The design using compression seals around the perimeter, these seals provide superior weatherproofing, saving energy, lowering noise and creating all year round comfort. Locking options are cam-lock, or chain-winder allows easy operation without interfering with insect / fly or security screens. Max. weight per sash: 20 Kg at 60 degree open angle. 100mm restricted opening for security and above first floor applications. Maximize your living space and seamlessy join indoor and outdoor activities by using a Multi Folding Door / Window System. 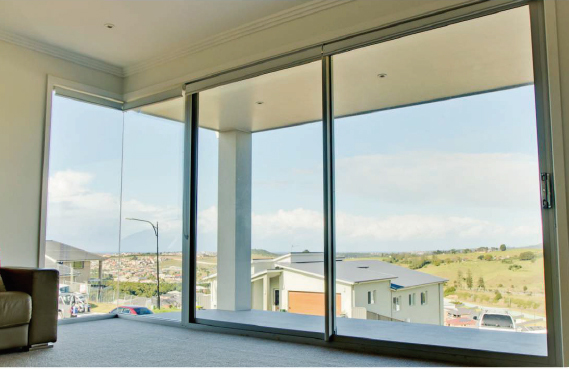 The Multi Folding Door / Window System incorporates quality “Brio – Weather fold 4s” hardware components and features a polypropylene track insert which reduces noise and extends the life of the rollers, ensuring years of trouble free, smooth operation. Max. weight per door panel: 100Kg. Multi Folding Door / Window System provide choice, left or right opening directions; inward or outward swinging panels, dozens of configuration options available including a single access door when using anon-even configuration. A screening option is available by incorporating the Brio 612 Retractable Insect Screen. Bottom Sills can also be made less obtrusive by recessing into floors. Designed to suit modern architectural requirements, when you are looking for quality then the City View Patio Door is it! This sliding Door System offers a vast amount of configurations to suit just about any opening! Simple and cost effective like the sliding door, stacker doors are ideal if you want a wide opening. They open to two thirds of their width allowing indoor living areas to be connected to patios, sundecks, courtyards and gardens. Fly door / security door tracks are already incorporated into the framing design so no add-on tracks are required for screening. Max. weight per door panel: 120Kg. Designed with strength and high performance in mind. 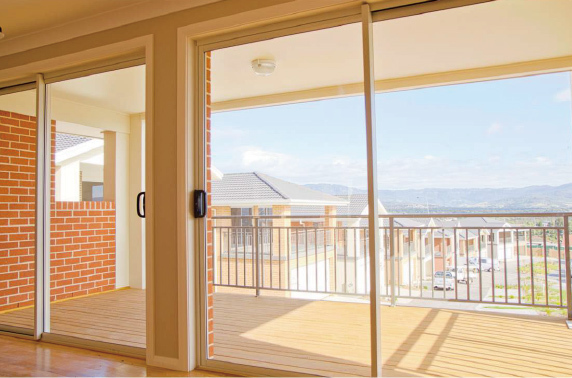 This sliding door series is either used in high rise building applications or just when you require the ultimate in high performance. It is structural design allows for extra large door panels and glass thicknesses of up to 24 mm can be achieved. Add-on tracks are available for screening purposes. Available in a range of durable powder coat colors. A choice of architectural locks are available to suit your individual taste. 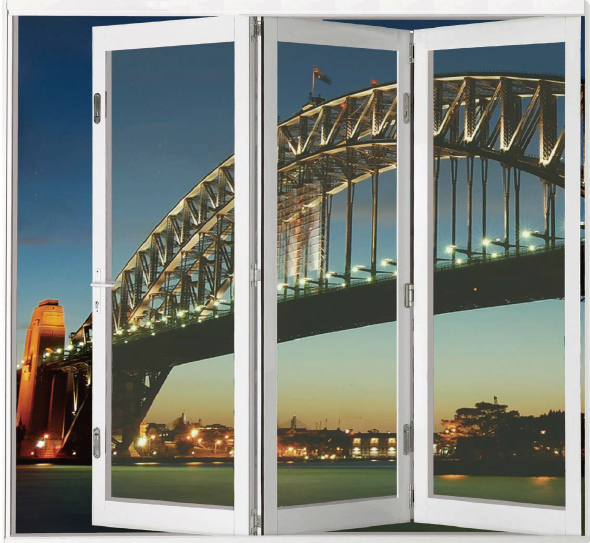 The city view door requires minimal maintenance and is very quiet to operate. Max. weight per door panel: 160Kg.